show her what he had achieved: he had printed a small black plastic cup with a new method he had created, which he called stereolithography. Hull had spent his nights and weekends developing a new device with which he could create small plastic objects. 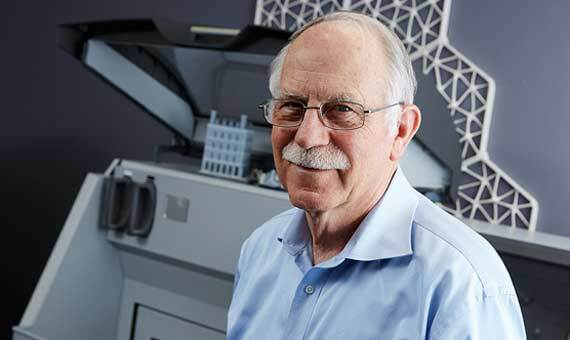 He did not know it yet, but he had become the father of the 3D printer, an invention that is now changing the way we create everything from toys to tools used in space to even human organs. The possibilities of his invention have become almost infinite. But it took three decades to see what today we call the future. The Eureka moment had its first burst in the early 1980s. Hull was then working at Ultra Violet Products, a Southern California company that molded resin with ultraviolet light and used it to cover furniture. One day he approached his boss with an idea: he wanted to place hundreds of layers of plastic, one on top of another, and take advantage of ultraviolet light to give them different shapes. But to be able to turn a stack of stacked plastic into a real three-dimensional object, he needed a machine—a fast machine. Hull, as a design engineer, was frustrated by how slow the production was of even small plastic prototypes, since he had to wait months just to test the new designs. Hull was not allowed to devote himself to his dream during his work hours, but they did provide him with a small laboratory where he made it happen. After a year of effort, the engineer developed a system in which ultraviolet light illuminated a bucket filled with a material called photopolymer. This type of material changes from liquid—its natural state—to solid when it receives this light. In this way, he could draw the shape and continue filling it with layers until the object was complete. In order for the printer to know what shape to complete, Hull had to write the code himself. This limitation meant that, at the beginning, the printer could only create very simple figures. However, by the mid-1980s, the machine had already evolved enough to become a commercial product. The American patented his invention in 1986, the same year he founded 3D Systems, the first 3D printer company. He had to wait another year for his first printing device to be ready for sale. Because it was too heavy to be taken to demonstrations, Hull made small videos to demonstrate its abilities to the executives of other companies. Right from the early years, the company enjoyed a certain welcome, especially from the automotive industry. General Motors and Mercedes-Benz soon began using the technology of 3D Systems to build and test prototypes, which saved them months in the design process. However, his invention was a modest success, a fact that never worried its creator. Back then, Hull told his wife that 3D technology would take between 25 and 30 years to mature and find its place, but it was going to be something important. He was correct in both predictions. Patience became his best ally. The improvement in materials and technology, coupled with a reduction of the price—you can get printers from 1,200 euros—has created a universe in three dimensions of infinite possibilities. There is already food that can be printed in 3D. A group of scientists at the University of California is trying to create a whole house with these machines. The blueprints can be downloaded from the Internet so that anything can be created by anyone, anywhere. This democratization of production has led to the maker movement and to a wave of three-dimensional models. But of all the fields, there is one that stands out above the rest: medicine. 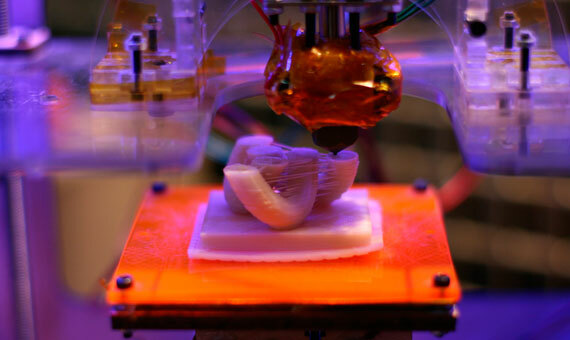 Prosthetics, medicines, tissues and even organs are being printed in 3D. 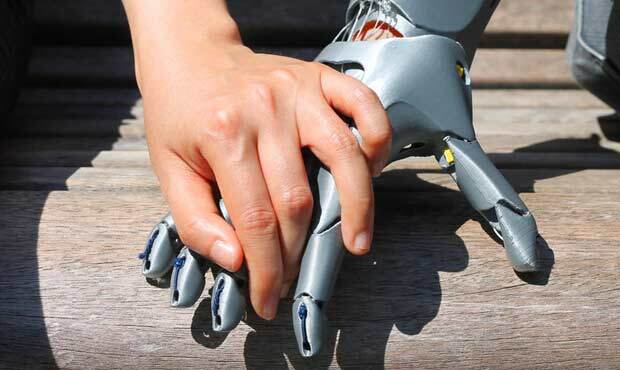 It is revolutionizing the way of doing surgeries and of rehabilitating a patient.